Sixty to seventy million people in the United States are affected by digestive diseases. There may be better options for your digestive system than a prescription or surgical procedure. Many digestive conditions can be improved with natural solutions. 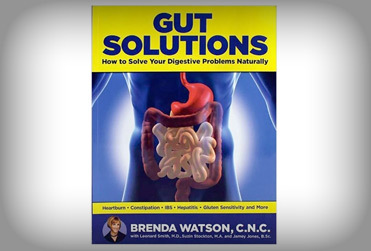 In this newly updated book, best-selling author and digestive care expert Brenda Watson, C.N.C., and renowned gastrointestinal surgeon Leonard Smith, M.D., help you understand your digestion and show you how you can restore your digestive health, naturally. Gut Solutions presents in-depth information about more than 25 common digestive conditions, what factors may lead to these conditions, how traditional medicine treats them, and how to approach these conditions with natural solutions that help bring your digestive system back into balance.